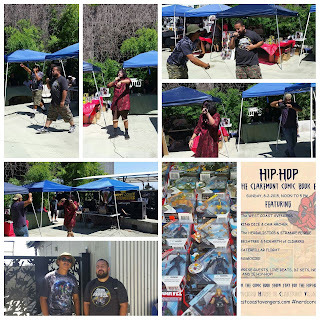 On August 2nd this last Sunday, Chris of Comic Bookie and the Claremont Comic Book & Collectibles Expo allowed the West Coast Avengers and a cadre of local and nerdy hip-hop artists to set up shop for a day in front of the comic book show in the Packing House in the Village and get down. 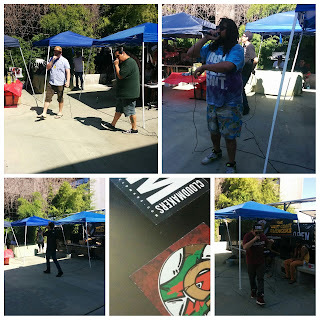 As a member of WCA, I have to say we’ve been pleasantly surprised at the enthusiasm the local hip-hop scene has for our promotion of “nerdcore” music and culture and to curate an event like this was an unmissable opportunity for us. So on Sunday while doing my best to get the event going, I gained a new appreciation for what Big Rob, MC Lyfe, Epyk and all the other promoters that I work with all the time do. 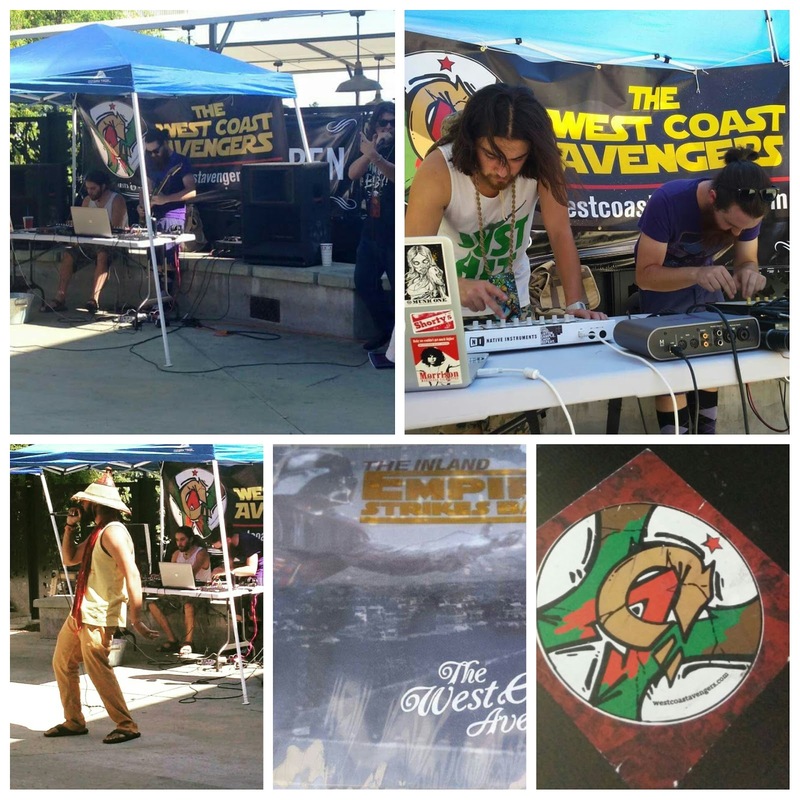 I was heavily involved in running the West Coast Avengers' Inland Empire Strikes Back record release show in May and some others we’ve done but this was simultaneously the most difficult and one of the most rewarding because it actually turned out as good as I envisioned over-all. 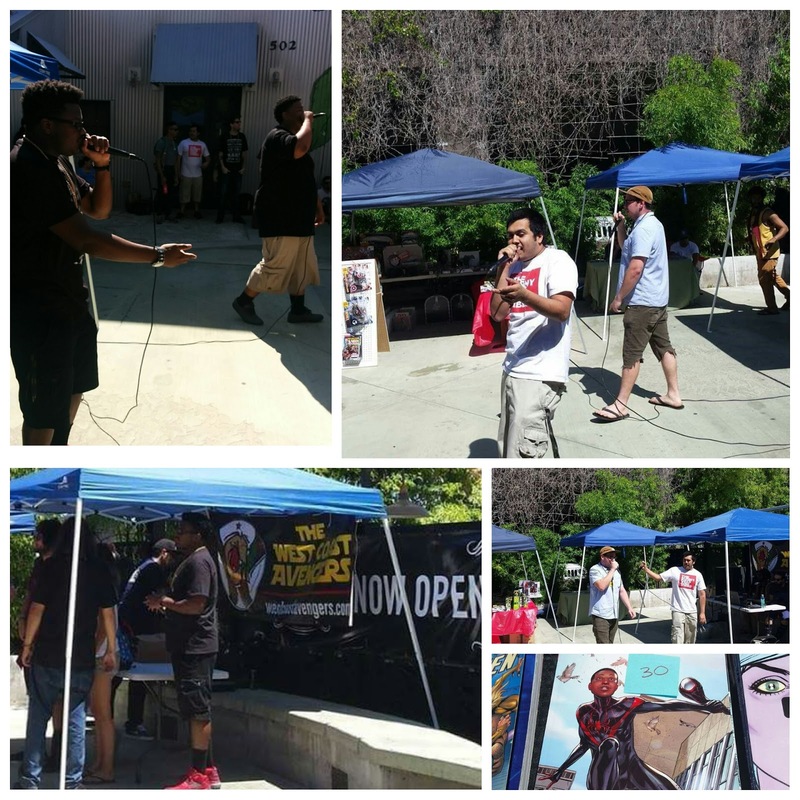 It almost cost me my sanity and I melted on concrete a few times but this was a dream come true to gather local artists for a nerd-themed show at a comic book expo. Caterpillar Flight turned their opening set into primetime on Sunday with tons of 80s and 90s cartoon samples, call & response hip-hop, positive energy and humor. Their vibe is undeniable and they had the whole spot rocking with them! We’ll need them for the next one! 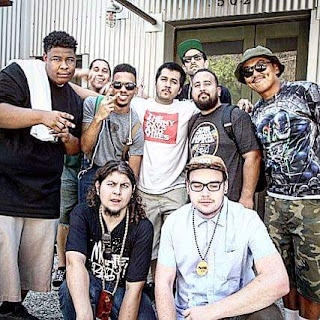 King Dice & Cam Archer brought along one of my favorite nerdcore songs ever, “Eddie Brock” and absolutely destroyed it and the rest of their tracks. You can never go wrong with the thunder of Dice and the impeccable delivery of Cam. The Herbalistics were funny and fun as always. Replacing their rascally references with the word “comic books” in the spirit of the event, making fun of each other and doing family friendly versions of some of their jauntiest songs, they never fail to entertain! 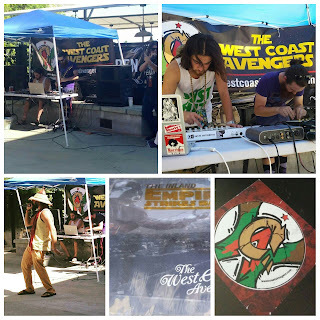 My crew West Coast Avengers had a blast during a couple live jams with RasJoshBeats padsmashing live electronic drums on the Maschine and Calmfixup playing live electric guitar and Maschine. 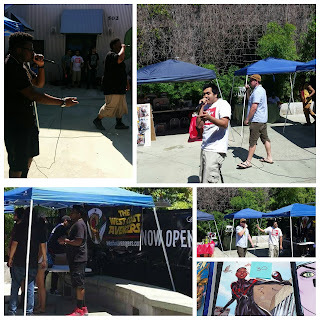 Mr.Sham Raiden’d out to beats by Calmfixup while Tanjint Wiggy did his Han Solo song to RasJosh Beats. Much thanks to Tan of Copy Cats in Whitter for the new banner we got to debut at the expo. Strange People bring a psychedelic nerd consciousness to their funny stream of consciousness style poetry music. It was a pleasure to see Hephty rock it and Greaseball flourish in yet another context! 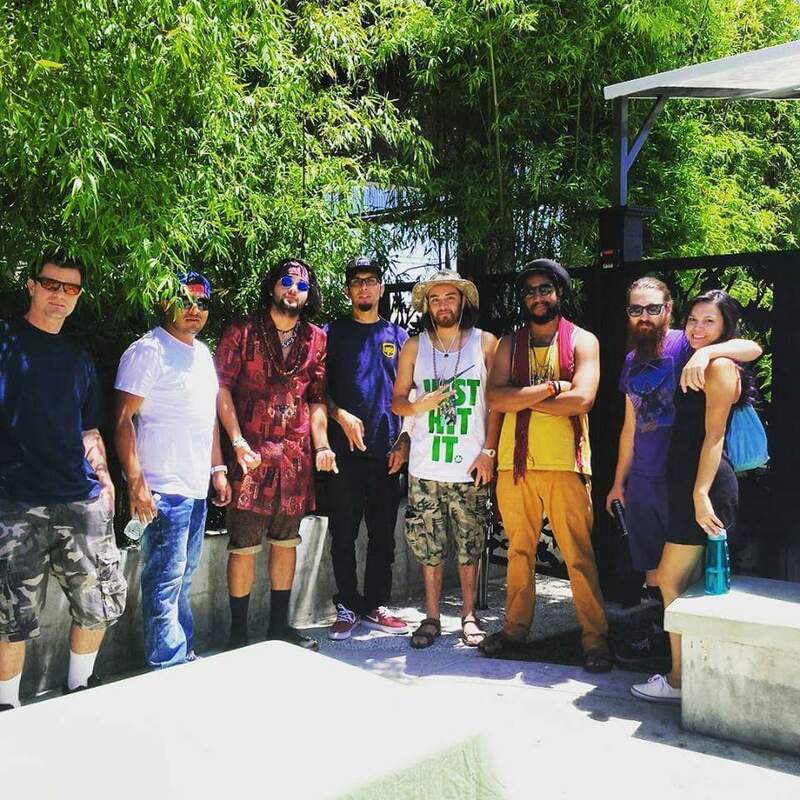 Cldmkrs keep it crackin’ with dope beats, rhymes, energy and interplay. Tree, Erf and Thesis were kind enough to form like Voltron for the last sets of the event with recent favorites like Lawst, Win or Lose, Mind in Another World and more! I learned that you have to be ready to roll with the punches while sort of curating an artistic experience for your audience. I like to think a great time was had by many and we hope to do it again asap! 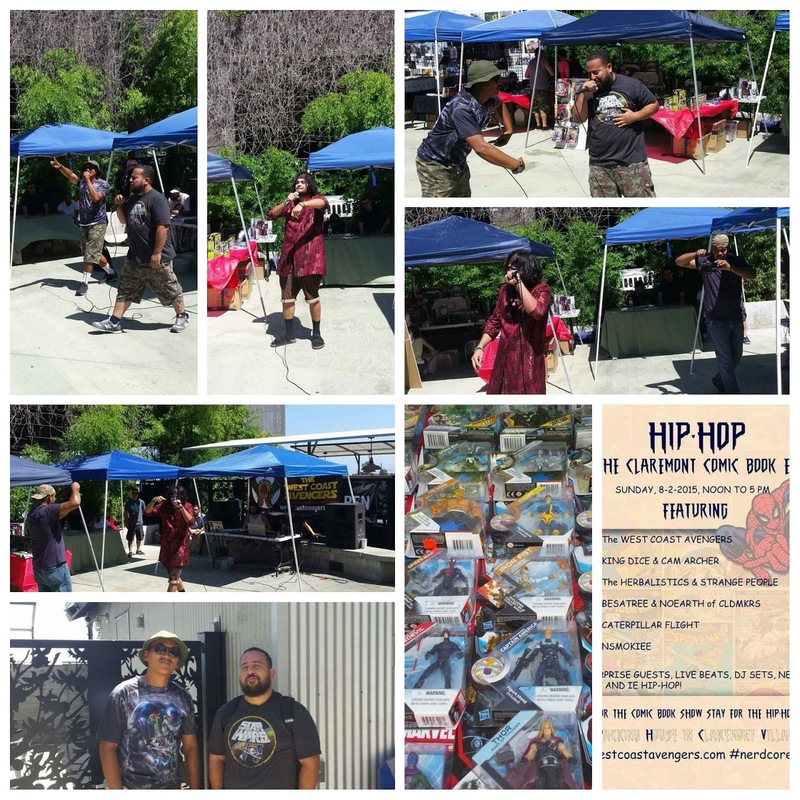 We could not have done it without all of the artists and crews that came out in the hot sun to link hip-hop with nerd culture for a beautiful Sunday so big shout out to everyone who came out! 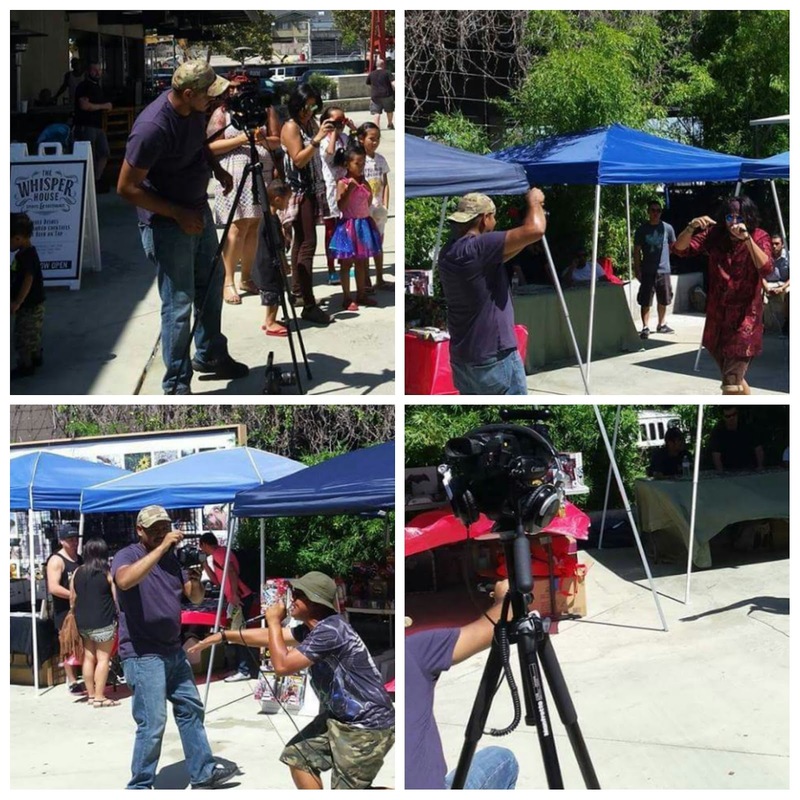 The packing house has this event every two months and we certainly hope to be a part of it again! Shout out to Dean from SoCaliSounds for zoom recording the whole event! Videos with good audio coming soon! Cameraman Javier Romero doing his thing. 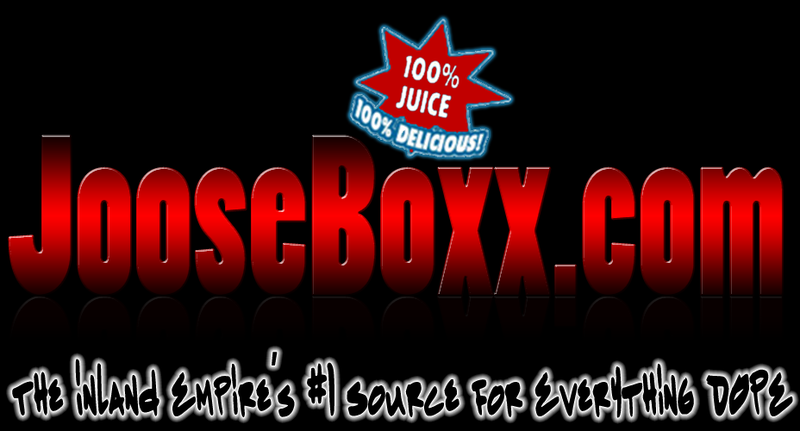 Photography by Ipyani Lockert of MotivationalRealizations.com, Javier Romero, Samuel Oxymoron of Caterpillar Flight & Tristan Acker for JooseBoxx. +++++++++++++++++++++++++++++++++++++++++++++++++++++++++++++++++++++++++++++++++++++++++ Tristan “Tanjint Wiggy” Acker is a staff writer for JooseBoxx and member of the Inland Empire’s West Coast Avengers. Catch more of their work at westcoastavengers.com, follow Tristan on twitter @Wiggism or e-mail him at tristanacker@gmail.com.